Add more accomplishments to your CV and thrive in the process. It is no secret that the world is changing at an increasingly fast pace. Some skills that were important in past decades have become obsolete and to succeed in today's economy, young entrepreneurs must develop new and valuable skills to help them stand out in a highly competitive global workforce. The average millennial is expected to have more than four careers in his or her lifetime. No matter what industry or career you choose, these are eight skills that will be relevant for many years to come. 1. Cultivate diverse cultural awareness. More entrepreneurs are doing business on a global scale, which makes it important to have a diverse understanding of different cultures. Millennials with extensive travel experience have a huge advantage over those who have only lived and operated in a single local area. When your life experience is limited to a small geographic area, you begin to live in an echo-chamber of similar thoughts, political opinions and values. The more you get out and experience other cultures, the easier it will be for you to connect and work with people of different backgrounds. For example, the Indian economy is expected to grow 7% over the next year. This is helping to fuel a startup revolution that is empowering thousands of entrepreneurs in India. Also, those who can speak more than one language instantly open themselves up to more opportunities. You will be able to work with employees, partners and customers from countries with different official languages. Just imagine how much easier it would be to work with a Chinese manufacturer if you spoke Mandarin. 2. Utilize time-saving productivity tools. Time is the most valuable asset for young entrepreneurs. It is always depleting and you cannot buy more of it. The most successful entrepreneurs know how to make the best use of their time. Outsourcing platforms like Upwork and Fiverr give entrepreneurs the ability to save time by outsourcing tasks to talented freelance service providers from around the globe. Personal productivity apps like Evernote, Slack and Feedly make it easier to stay organized, communicate with your teams and execute actions quickly. 3. Develop high social and emotional intelligence. In a digital world, it has become extremely important to hone your social and emotional intelligence skills. Social media has allowed us to quickly connect with people around the world, but some say this has come at the cost of real connections and relationships. Tools like email and instant messaging limit our ability to communicate emotions like sincerity, anger and empathy. Millennials need to understand the limitations of these digital platforms and learn how to communicate most effectively. For example, you may want to connect with a major investor in your market. How can you effectively reach out to them without sounding needy or pushy? 4. Know how to effectively use mobile digital marketing. In the past, entrepreneurs were limited to expensive, hard-to-scale marketing channels. Today, mobile digital marketing makes it cheaper and faster to identify customer needs, test ideas and produce products. 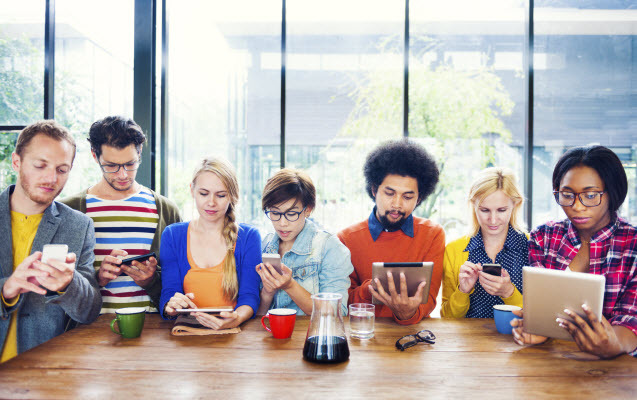 Millennials are spending an enormous amount of time on their smart phones. In fact, over 65% of Facebook's 8 billion daily video views come from mobile devices. The gap between time spent watching TV and time spent on social networks like Snapchat is quickly closing. If you want to succeed at selling and influencing in today's economy, then you need to know how to spread your message through mobile digital marketing. With an overwhelming amount of content being produced every day, millennials need to be able to stand out from the crowd. 5. Be an effective self-manager. The number of people working remotely has more than doubled in the past decade, which means that millions of people are working without direct physical supervision. This has given people more autonomy, but in order to be effective, both entrepreneurs and employees need to develop the skill of self-management. This includes managing your own tasks, projects, lines of communication and schedules. I am a big fan of project management tools like Basecamp. This allows me to keep in touch with my team, stay on top of my to-do list and milestones and to see what my staff is accomplishing in real-time. It is also very helpful for team members to do daily check-ins where everyone writes a quick recap of what they accomplished during the day, questions they have for other team members and where they need help. This type of consistent communication keeps everyone accountable and eliminates bottlenecks. 6. Understand core computer technology. English and mathematics have been the two staples of the American education system for centuries. Now, computer technology has emerged as one of the most valuable skills for millennials entering the workforce. Some important core computer technologies to understand include operating systems, databases and applications. At the very least, all millennials need to understand basic programs like Google Docs, PowerPoint, and Dropbox. Also, it is vital to know how to protect your computer against malware and viruses. No matter what area of focus you choose, computer technology is likely to be at the core of your business, so it makes sense to understand all aspects of the digital world. 7. Study financial literacy and practice sound investing. Since the global financial crisis in 2008, many millennials are afraid of the financial system. They're choosing robo-advisors over human financial advisors or deciding not to invest at all. The amount of financial advice and information is overwhelming for many people. From the conflicting opinions of financial pundits on TV to complex financial investment options, millennials rarely know who to trust or what to do with their money. 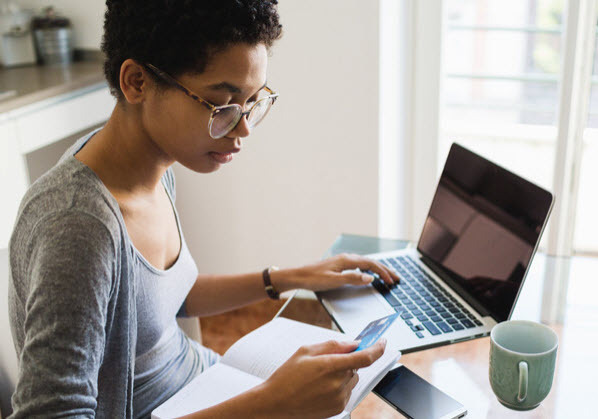 All millennials need a basic understanding of things like compound interest, cash flow statements, debt vs. equity, tax implications of various decisions and balance statements. These topics will help you gain control over your personal budget and financial goals. If you are interested in growing your wealth, then you should learn about the public stock market, real estate and startups. At this level, it is important to understand macroeconomic trends, fund-raising concepts and company valuations. 8. Research and find answers to complex problems. The answer to virtually any question or problem can be found with a few clicks of a mouse. Thanks to huge databases like Google and Wikipedia, it has never been so easy to research topics and discover solutions to complex problems. However, due to the amount of information (and misinformation) online, it is vital that you are able to filter the signal from the noise. In other words, you need to find the valuable information in a world of endless content. For example, you may want to plan the perfect company retreat. How do you coordinate an event location and travel accommodations for your company? How can you quickly and effectively research reviews, prices, and availability? Or let's say you are looking to build a new iPhone application that shows mountain bikers all the trails in their area with ratings from other riders. How do you aggregate all the trails across the nation? Are there any competitors that are already providing that service? What topics will you include in the trail rating system? Being able to dig in and find answers is a very valuable skill, but it takes savvy thinking and determination. Those who can think critically and creatively will be able to find answers quicker than those who think inside the box.